Oil filtration systems with just one goal in mind: perfectly clean oil. The result is a perfectly clean oil thanks to 3-in-1 oil purification. Removal of up to 99% of all solid contaminants. 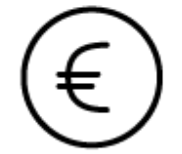 Reduction of water and moisture to less than 100 PPM. The effect of water on oxidation in the oil, however, is dramatic, especially in presence of catalysts like copper (CU) or iron (FE). The two most general classifications of insoluble contaminants are hard contaminants, such as dirt, debris and wear particles, and soft contaminants, composed of the various oil degradation by-products. 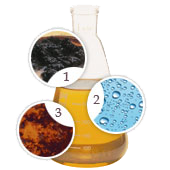 Triple R bypass oil cleaners remove particles down to 2 micron, but also remove water and oxidation residues. 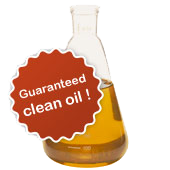 Triple R does not sell "micron ratings", we sell the guarantee for "perfectly cleaned oil". No cure? No pay! Measuring is knowing. 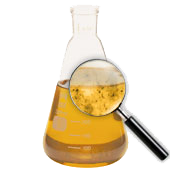 Know how to read and understand your oil analysis data.